Loss aversion, the fear of losing, is one of the most common causes of unsuccessful investing. Why does the dread of losing become a self-fulfilling prophecy, causing an investor to make a decision that leads to losses, not profits? According to traditional wisdom, fear or greed are the motivating factors in investment decisions. For instance, greed might cause someone to sell a stock when it doubled, even though the company’s fundamentals are still strong, and holding onto it may be a wise choice. Fear of loss may lead someone to sell a stock when the market tumbles, not realizing that historically the markets have “corrected” and reached new heights (although past performance is no guarantee of future returns). Yet for many investors, loss aversion overtakes greed as a motivating influence. It’s just too difficult to look at losses in an investment portfolio. Even if the losses are just paper losses, they feel very real. Recognizing the effects of loss aversion – how people hate to lose, even on paper, is a first step toward making logical, not emotional, investment decisions. Make-believe you invested $100 in the market. Which emotion would be stronger: the joy of making 15% profit, or the anguish of losing 15% of your money? 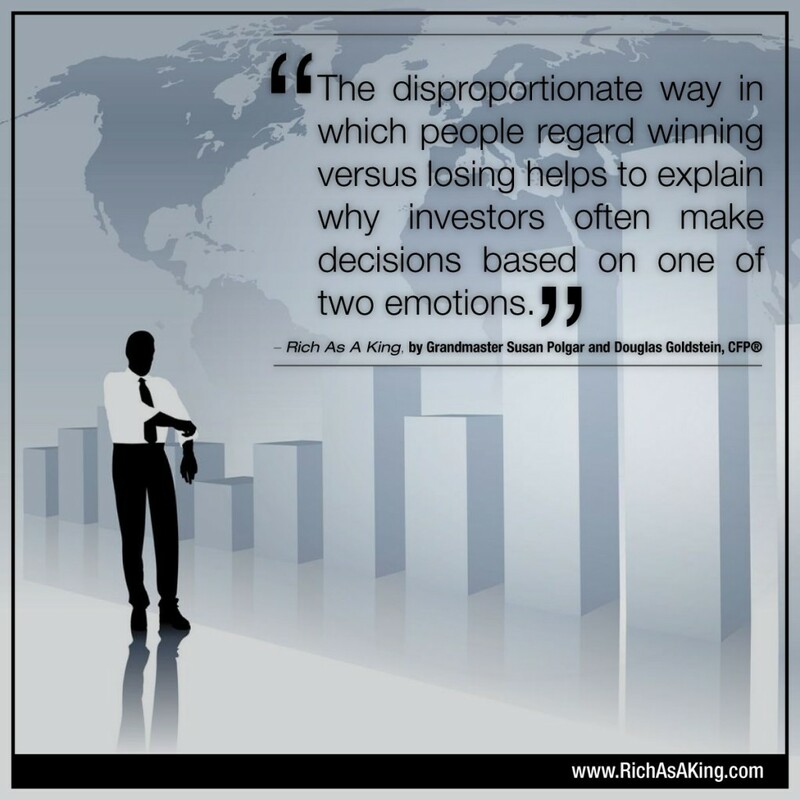 Most folks would say their distress at losing would be greater than their joy at winning… which is loss aversion! In fact, folks will usually only make investments or bets when the chance of winning is disproportionately greater than the chance of losing. Since that’s not logical, they end up with poorly managed accounts. Read what Nobel Prize winner Professor Daniel Kahneman says about loss aversion here.